Suncoast Christian College is a ministry of Suncoast Church (a member church of Christian Outreach Centre Australia, which is incorporated by Letters Patent issued under the Religious Educational and Charitable Institutions Act 1861). The College Board is responsible through the Committee of Management of Suncoast Church to the National Executive of INC (the Governing Body). The College Board’s governance role is to maintain oversight of the College by determining and monitoring its strategic directions, developing policies, monitoring the effectiveness of the Board’s and the College’s performance, and establishing control and accountability systems. 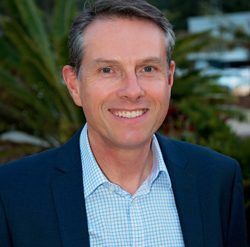 Andrew is currently employed as the Director of Infrastructure Services with the Moreton Bay Council, Australia’s third largest Council, with a population of 425,00 people. Andrew is responsible for overseeing the Infrastructure Services Department, comprising over 100 staff, who are focused on planning, design and delivering the roads, transport networks and parks assets to serve a vital growing community now and for the future. Andrew has a background in both private sector engineering consultancies and Local Government management, and has recently held the role of Asset Management & Systems Manager for Brisbane Airport Corporation, and previously the roles of Director of Infrastructure Services with the Sunshine Coast Council, and the Caloundra City Council. Andrew was awarded the honour of being selected as the Institute of Public Works Engineering (Qld) “Professional Engineer of the Year” for 2015, due to his contributions to the engineering profession and the wider community. Andrew holds a Bachelor of Civil Engineering, a Master’s in Business Administration (Technology Management), and a Company Director Diploma with the Institute of Company Directors. Andrew is also an RPEQ, a Fellow of Engineers Australia, and a Fellow of the IPWEAQ. Andrews’ four children all attended Suncoast Christian College throughout their school years, with the two youngest having the privilege of becoming Lifers, and he has been an active member of the Suncoast Church Committee of Management for some 10 years. Jonathan’s experience in education and the schooling sector has spanned over 10 years. The vast majority of that time has been within pastoral care. His background is in ministry and sociological studies, and first began work at Suncoast Christian College straight out of university as the College Chaplain. Jonathan spent time working at schools in the United Kingdom in both teaching and behavioural management. He has significant experience working within community organisations in helping to engage with culture. Jonathan has a strong interest in pop cultural studies and leadership development, which has seen him travel globally as a public communicator. Since June 2014, Jonathan took up his tenure as Lead Pastor of Suncoast Church. 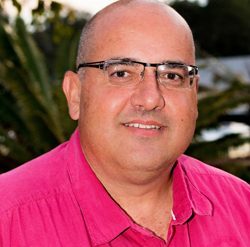 His main commitment and passion are towards the ongoing vision and mission of the Suncoast community. Mark Furler, Australia Regional Media’s group digital editor, has been one of the company’s pioneers in digital space with his first ventures dating back to 2007. On the print side of the business he has been involved in three PANPA Newspaper of the Year wins, two as editor in chief for the Sunshine Coast Daily. Mark was also ARM’S Australian Editor of the Year for 2012/13. 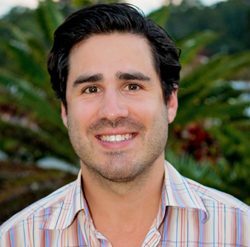 He and his social media editor were honoured in 2015 with a silver at the International News Media Association (INMA) awards in New York for best use of social media for the Sunshine Coast Daily. His current role includes him overseeing 40 websites with a monthly audience of more than 3.5 million visitors and the same number of Facebook pages with 350,000 followers. In 2011 and 2012, the Sunshine Coast Daily was named PANPA Newspaper of the Year for its category. The Daily’s news website was also highly commended. The Daily has also taken out major awards at the Queensland Clarion Media Awards. Mark was honoured to be asked to judge a category in the Walkley Awards, the nation’s top media awards. Mark worked as police, court and council reporter primarily before becoming chief of staff and then promoted to assistant editor. Was also part of the team that won PANPA Newspaper of the Year for the Sunshine Coast Daily in 2007. His personal awards include CEO Award for Excellence and Impact Award. Specialties: Strength is in news and content development and people management. Alison’s career has spanned multiple levels of education – primary, middle and secondary schools, and undergraduate and postgraduate courses at a tertiary level. She has experience in educational leadership, working with teams in curriculum, and as a coach in pedagogy. 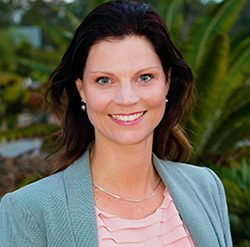 Alison’s experience also encompasses an international dimension as she has had input into the University of the Sunshine Coast’s International Projects Group’s ALAF programmes for teachers from Indonesia, West Papua Indonesia, and Uganda. Alison has a strong research interest in cross-cultural educational studies, having conducted her doctoral research in Northern Uganda, and her master’s research in a comparative study of the learning dispositions of Australian and Finnish students. Her experience in Northern Uganda led to the development of a suite of research interests, including the effects of stress and trauma on students’ learning, the roles that teachers play in helping student overcome the effects of stress and trauma, learning in conflict and post-conflict environments, the effects of culture on learning, and teachers’ conceptions of learning in developing contexts. Her study of human experience has given her a strong foundation in qualitative research methods. Alison is an engaging presenter, and has had numerous opportunities to share her research findings and insights into the human trait of learning in professional and community forums. Meloney has a Bachelor of Accounting, majoring in Accounting and Auditing, from the University of South Africa, and served Articles of Clerkship with the Johannesburg office of KPMG before starting up her own accounting practice. Her journey forward in faith led from Accounting to Art, and she has worked as a professional artist since 2000, and is now in her final year of study towards a Bachelor of Arts (Fine Art) through Curtin University. She has won numerous awards for her paintings, and was the recipient of a RADF grant to research the regional ecosystems present on the Sunshine Coast, and create iconography to celebrate the diversity of our natural environment, which was then linked back to Creation, and the principles of design that were first evidenced in the narrative of Genesis 1 in the Bible. Meloney’s paintings serve as modern-day parables, presenting a contemporary expression of timeless truth in a manner that hopes to disengage logic in order to establish a heart-connection, and draw the viewer closer. 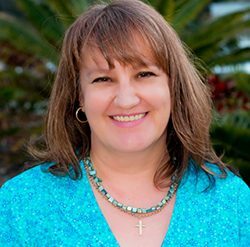 Meloney serves on the Board of Suncoast Christian College and was treasurer for Suncoast Church Committee of Management from 2008 to 2013. Meloney and her family made Australia home in 2003 – and she cherishes every day in her new homeland with gratitude. 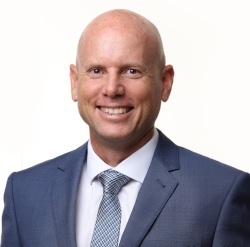 Russell is a Sunshine Coast born and bred local with over 25 years experience as a registered property valuer. He is a Director at CBRE Asia Pacific specialising in the valuation of Management and Letting Rights throughout Queensland and New South Wales. Earlier in his career Russell was Director of his own valuation firm employing 10 Valuers plus support staff. After many years of successful practice Russell sold the business to a national publically listed company and was contracted for three years as the Director in Charge for the Sunshine Coast region. After completion of his contract Russell had time off from his profession and joined his wife Helena and four children on a challenging yet exciting journey to create a family friendly kid’s TV series for the Australian Christian Channel. The show went on to be televised nationally and in several other countries providing the family with opportunities to do live show tours and support worthwhile causes. Russell previously served on the Suncoast Christian College Board as board secretary between 2008 and 2012 and played a pivotal role in negotiations with the State Government to construct a pipeline under the College for the Northern Pipeline Interconnector. Russell and Helena have been married for 23 years with each of their two sons and two daughters attending Suncoast Christian College since Prep. In 2016 their eldest daughter graduated the College as a lifer.